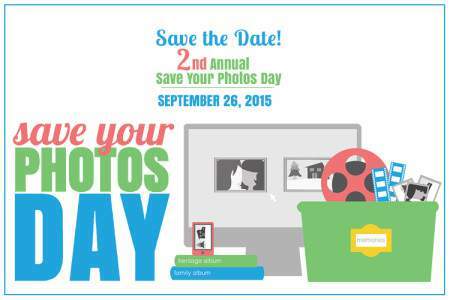 Save Your Photos Day is Almost Here! All this month, we’ve been focusing on the theme of Disaster Preparedness. We’ve protected your vital documents, and created a home inventory. So let’s talk photos. 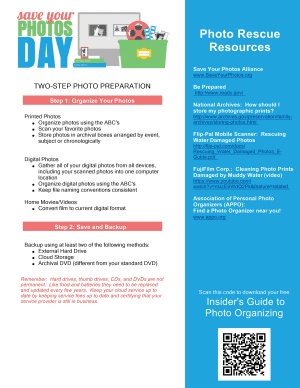 I mentioned in the Digital Photo Organizing Challenge Introduction post that Save Your Photos Day is happening this week. Save Your Photos Day (SYPD) is an annual event sponsored by the Save Your Photos Alliance, a group of service providers, associations, government and non-profit organizations that have joined together with the common mission of helping to prevent the loss of family photos when a disaster strikes. Throughout the country, as well as internationally, Alliance members will be hosting local community events such as free classes and photo scanning as part of SYPD. There are several online events taking place, such as this free online course, and my 10-Week Photo Organizing Challenge. All Save Your Photos Day events and resources will focus on the steps you can take to safeguard your photos and treasured memorabilia before disasters or accidents occur. Why not check out the SYPD Event Directory to see if there’s an event near you this week? Also, be sure to download a copy of this handy guide that contains resources for preparing your photo collection for weathering a disaster, as well as resources for rescuing/restoring damaged or lost photos (click on the photo). Happy Save Your Photos Day!